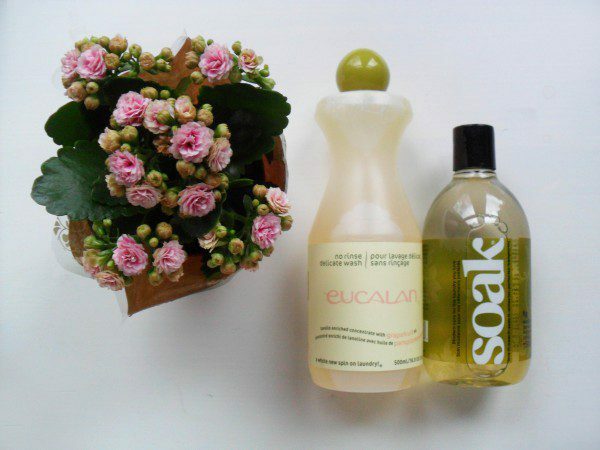 Home Fit & CareLingerie Care	Soak Vs. Eucalan Lingerie Wash – Which is Best? 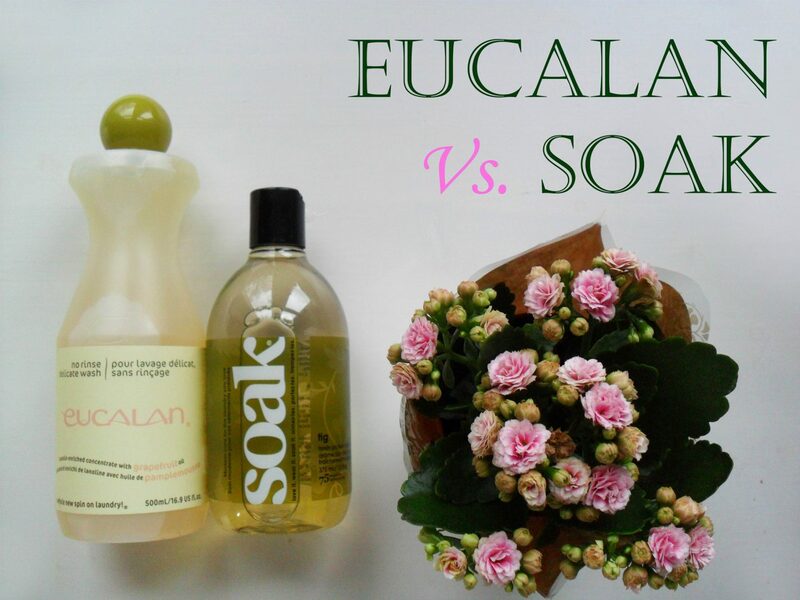 Soak Vs. Eucalan Lingerie Wash – Which is Best? Disclosure: I bought both of these lingerie washes myself. My first lingerie treat-to-self of 2016 was something a bit different – lingerie wash! Previously, I’d been using Tesco’s Silk and Delicates Handwash for a good few years and had no problem with it. It was dirt cheap (£1.50 for a 750ml bottle, or 6p per wash) and it got the job done. However I’d started to find that my hands were itching right after I did my lingerie laundry – maybe I developed a new allergy, or maybe they updated the formula. Either way, it was time for a change. 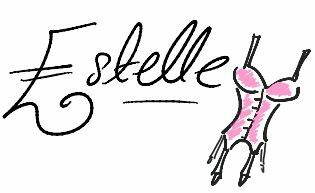 If you start Googling, you’ll find there are lots of lingerie/delicates washes out there, however the two that I see recommended the most often and sold by the most lingerie boutiques are Soak and Eucalan, both Canadian brands. They each have a number of stockists worldwide though and I was able to buy the two in the UK; a 375ml bottle of the Fig scented Soak through Deramores for £14.99, and a 500ml bottle of Grapefruit scented Eucalan through Woolstack for £11.50. A key similarity between these two washes is that neither requires rinsing – you just add them to water, pop your smalls in to soak for a bit, squeeze the water out and leave to dry. This isn’t the case for all lingerie washes (my old Tesco one needed to be rinsed out for example), and it definitely saves you time. Neither of these are miracle-workers though, you’ll still need to rub any particularly soiled areas to loosen the dirt. So first up in differences, the price. Whilst not wildly different, the cheaper Eucalan is also a larger bottle. It’s fairest to compare them on price per use, since you’ll need to buy replacements for the smaller bottle more regularly; the ‘serving size’ for each is one teaspoon (5ml), so Eucalan’s lingerie wash works out at 11.5p per wash and Soak’s at 20p per use*. Quick break from the comparison for a moment: I don’t find either of these prices at all expensive for taking care of your lingerie. I hand wash not only my lingerie but all of my delicate clothing (which is at least half my wardrobe) and 5 months after purchasing these lingerie washes, I’ve still got 2/3rds of the each bottle left! So for a grand total of £26.49 I’ve been able to take proper care of my delicates for what will probably amount to over a year. Now, back to the point of this post. So what else is different between Soak and Eucalan? Both washes are biodegradable, however only Soak’s bottle is biodegradable too. Eucalan’s is still “easy to recycle” though. 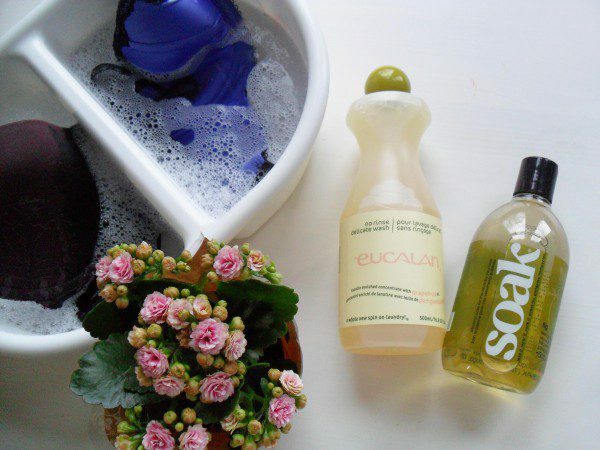 Eucalan is scented with essential oils whilst Soak doesn’t disclose what it uses for scent (so it may be natural, it may not be). There’s a scentless version of each for those whose skin is sensitive to this sort of thing, or just don’t want their lingerie to be fragranced. However I have to say, the grapefruit Eucalan may as well have been scent-free! The fig Soak wash left my laundry lightly fragranced – it’s a subtle scent, but it’s definitely there, unlike the Eucalan which loses its scent the second it hits the water. It’s not a deal-breaker for me, but I do prefer the Soak in this respect. Perhaps Eucalan’s other scents are stronger, I can’t say as I haven’t tried them. What of the other ingredients? Mostly, both brands use gentle ingredients that won’t irritate sensitive skin (Soak even claims it can be used as a pet shampoo!) though the Soak ingredients list does include benzophenone-4 which can be irritating, and tetrasodium EDTA which has a very minor health risk. Eucalan’s ingredients list seems ‘cleaner’, though there is still ammonium lauryl sulphate in there which can irritate sensitive skin. A report however did determine this ingredient to be “safe in formulations designed for discontinuous, brief use followed by thorough rinsing from the surface of the skin“. I have mildly sensitive skin and I’m happy to say that neither of these products had any adverse effect on me. So to conclude, which one would I recommend? I’d hoped I might have a clear favourite but liked both products, they are very similar lingerie washes all things considered. So, sorry for the anti-climatic ending! I can say that the one I personally will be buying again is Eucalan, because it’s cheaper and the ingredients seem a little more natural. If you’re set on a wash that leaves your lingerie drawer smelling beautiful though, between these two particular scents, it’s got to be the Soak one. 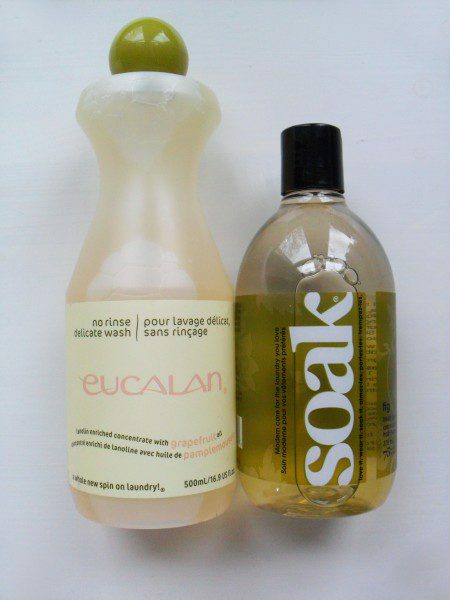 Have you used Soak and/or Eucalan, or perhaps a different brand? What are your experiences with lingerie washes and which is your favourite? *Cost based on what I paid, which were the lowest prices I could find at the time of purchase. Prices do vary between stockists, but generally, Soak is the more expensive product per 100ml. Thank you for posting this head-to-head comparison of these two washes. What concerns me about the Eucalan is that it contains lanolin which is great for woolens. On non-wool items, I think it would attract dirt and grime or create a buildup. Soak doesn’t have lanolin which makes it an all-purpose detergent for delicate fabrics, wool, and silk! I’m not sure if non-bio detergents would be good for delicate washes but it’s worth a look because they worked well for my bras and workout clothes! I am a knitter and I use Eucalan to wash my knitted items. When I give knitted gifts I usually include one of their cute small bottles so the recipient does not have to worry about rinsing the item when freshening. I recommend the lavender scent. You did not cover the ingredient Methylchloroisothiazolinone that is in Eucalan. The FDA have encouraged any manufacturers and makers that use this to eliminate it from their products. I have an allergy to this and have read that many many others also have reactions to this ingredient. It is also considered very toxic. I have actually messaged the manufacturer to ask them if they would remove this ingredient because so many indie yarn dyers use it. Thankfully, the people that use the Soak Wash … I can knit with their yarn. 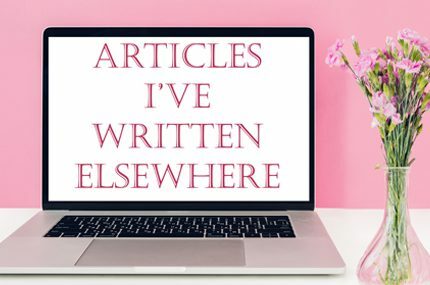 It would be great if you would cover that ingredient in one of your postings to make people more aware of it. Thanks for adding a note about this Eucalan ingredient to the article!